Comite Ejecutivo de Espectaculos Publicos de U.G.T.-C.N.T. Carteleras. Año I, Núm. 1 (24 Enero 1937) to Año I, Núm. 3 (7 Febrero 1937) (all published?). Valencia, Spain: N.p., 1937. 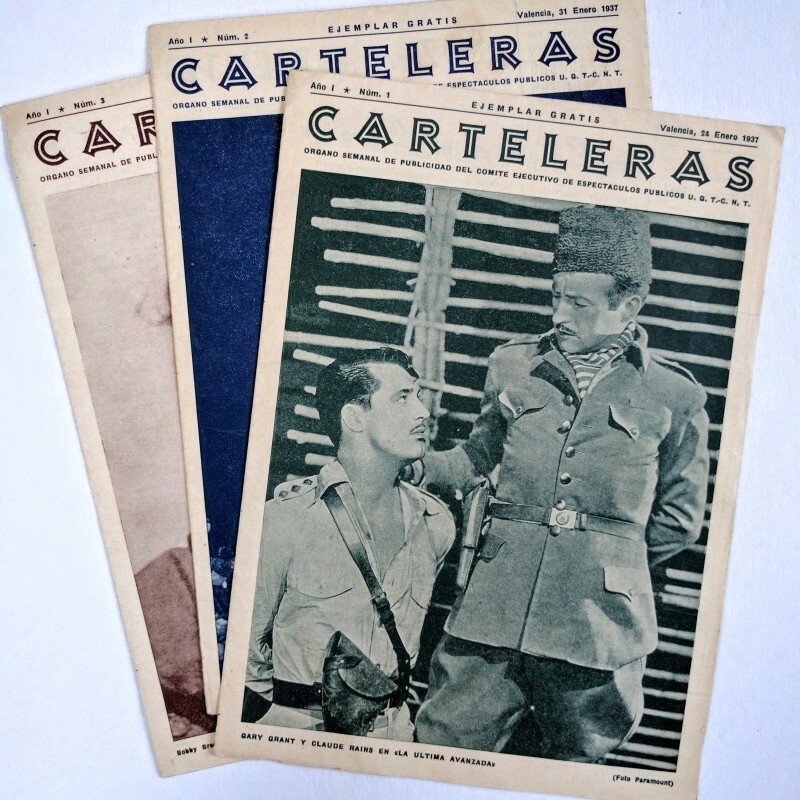 Three issues, each a single-sheet 4to,  pp. ; some wear at edges and creases. 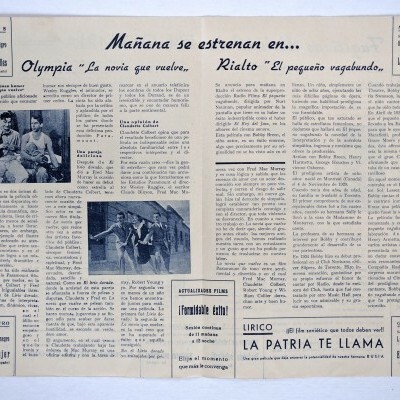 Weekly pamphlet advertising upcoming films and theater schedules in Valencia, published by the UGT-CNT whose unions controlled the theaters and film selection. 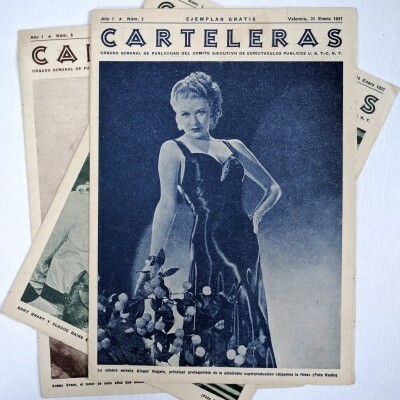 Uncommon ephemera from the cultural revolution of the Spanish Civil War.